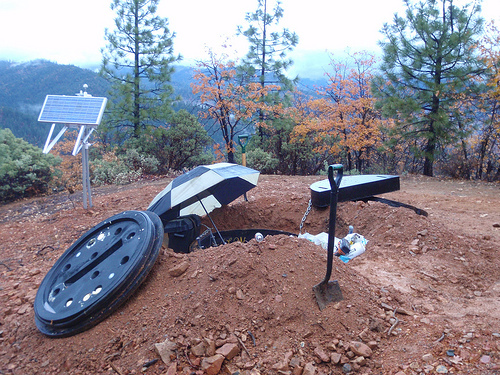 A seismometer is a very sensitive instrument that can detect movements of Earth's surface. The surface is in constant motion due to natural and man-made phenomena. For example, the solid Earth tide is caused by the gravitational pull of the moon stretching Earth. Tucson slowly rises and falls twice a day about 40 cm due to the moon orbiting overhead. Mining explosions are a source of seismic energy. Ambient seismic noise amplitude is measured in nanometers, and can have a frequency bandwidth from 10s of Hz to days.